NEW YORK — “Facing this movie and then immediately talking about it is not the ideal thing,” director László Nemes tells a stunned-silent audience after a preview screening of his new movie “Sunset.” But he wasn’t getting off the hook that easily. 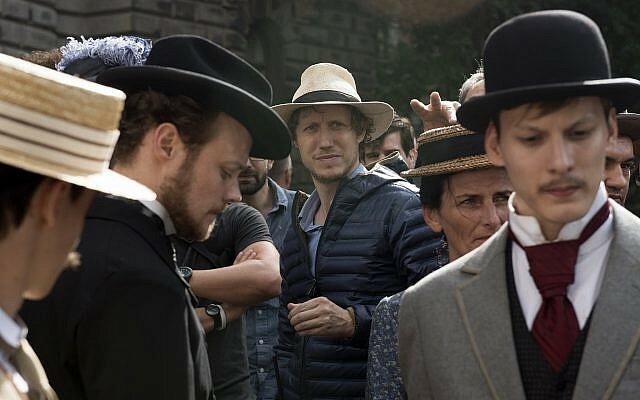 The Hungarian-Jewish Nemes, aged 42, worked as celebrated auteur Béla Tarr’s assistant before bursting on the scene with “Son of Saul” in 2015. It won the Grand Prix at the Cannes Film Festival, almost unheard of for a first-time filmmaker, and later won the Academy Award for Best Foreign Language Film. I feel confident in calling it one of the “best” movies about Nazi concentration camps ever made. It works quite well as a diptych with “Schindler’s List,” which has Hollywood gloss, broad storytelling aims and, in its way, ends on as much of a positive note as is possible. 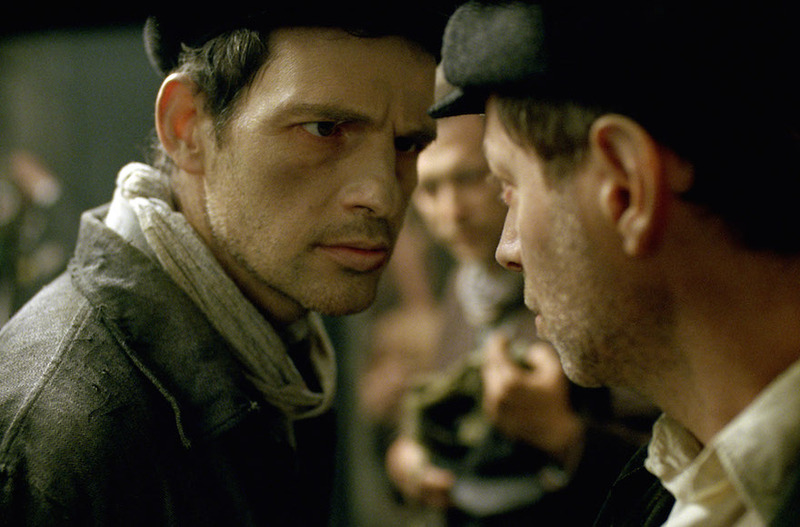 “Son of Saul,” while photographed in an artistic manner that isn’t needlessly exploitative, is a you-are-there experience inside the extermination process. 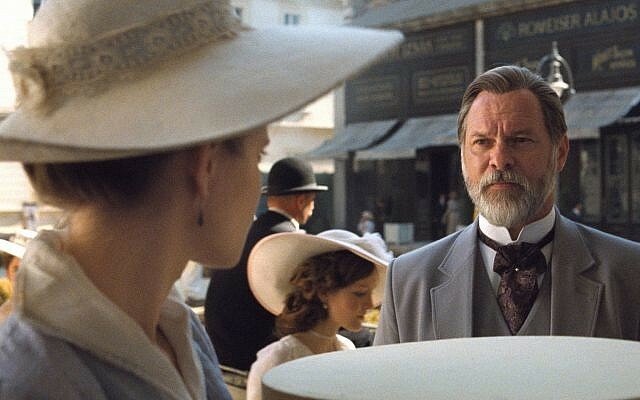 It’s a type of movie that many have tried to make and, thus far, only Nemes has made well. It is reportage straight from Hell. “Sunset” is about a young woman working at a hat store. Well, at least at first it is. Set in 1913 in Budapest (the “second city” of the Austro-Hungarian Empire), Irisz Leiter (Juli Jakab) is a striking and elegant woman hoping for a position as a milliner. The job has already been filled but she demands an audience with the owner. The celebrated store is called Leiter’s and it once belonged to her dead parents. The first of many mysteries begins to unravel. Her parents died in a fire when she was young, but news of her arrival (from a foster family in Trieste) brings people out of the woodwork. A crazed man comes to her at night (she is put up in a dorm for the store’s female workers that kinda-sorta feels like a coven) to tell her that she has a brother she never knew. Despite urgings from everyone to return to Trieste, she is determined to find out if this is true, and to meet this man. 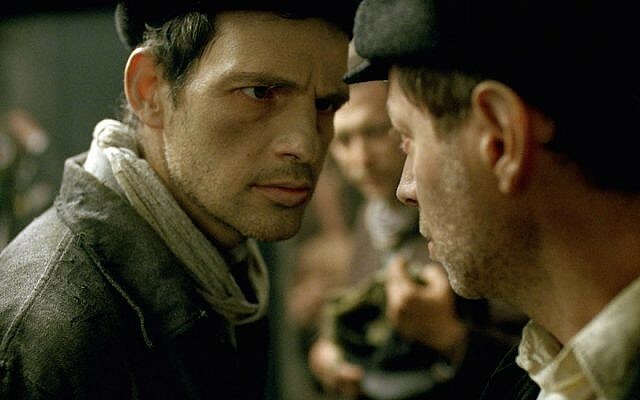 Here the connections to “Son of Saul” begin. In that film a Sonderkommando is convinced he sees his son go through the gas chambers at Auschwitz, and, though most people think he is imagining it, he becomes obsessed with finding a rabbi to somehow give the boy a proper burial. Irisz’ setting is light years apart from Auschwitz, but this primal connection to finding family against all odds drives the movie. 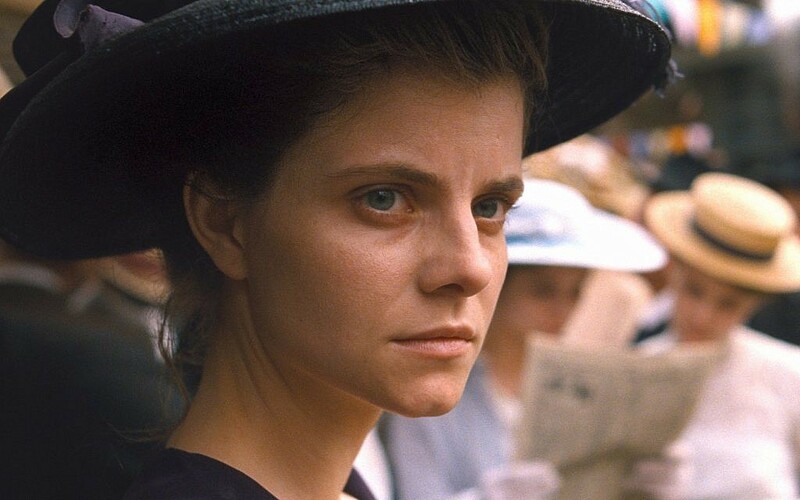 Like in “Son of Saul,” Nemes shoots “Sunset” in gutsy long takes, following Irisz in and out of mansions and carriages, through labyrinthine streets. It’s the week of a Jubilee (and the appearance of important political guests from Vienna) which means fireworks, but also outdoor merriment and tents. Irisz plunges through it all while we, the “camera eye,” are with her, making for a breathtaking (and no doubt complicated to film) series of sequences. As the story progresses, things get more dreamlike and surreal. Leiter’s is more than a hat store. We’re told time and again that it represents something; a nobility, a virtue, even if the world seems very much on edge. Just why the store is in the hands of the new owner remains vague. Leiter is, based on my research, one of those names (like my own) that is usually Jewish, but not always. But the vibe is that Leiter’s store (which is important enough to host its own aristocratic hot air balloon party!) was redistributed by powerful forces. This was more of a Germany pre-World War II move, not a Hungary pre-World War I move, so there’s a haziness to the implication. Moreover, when we finally meet Irisz’ brother, he is some sort of outlaw. He might be an anarchist, or maybe a Communist, or maybe he’s just leading a group of bandits. He certainly is bearded. And when we first meet him, in shadow, he gives the false name “Jakob.” Is this significant? The rising tension is obviously a lead-up to the eruption of World War I, but considering how famously knotted the causes of that terrible war were, the disquieting, uncomfortable confusion of sitting through “Sunset” and waiting for inevitable violence is, undoubtedly, a non-literal way of recreating this state of mind. What Nemes gets across with less complication is how Budapest prior to 1913 (“the age of Leiter’s,” if you will) was the apex of society, and it all crashed to hell with the madness of war. This is expressed cinematically, with these swooping, intricate tracking shots during the film’s early sections. Rarely does anyone who isn’t a photographer or film technician notice the lighting in movies, but when the title is “Sunset” that’s a clue of who is the real star. The use of indoor and outdoor light (and the frequent, unbroken transgression from one to the other in the same shot) in this movie is absolutely magical. And Nemes is a purist, shooting on celluloid, not video. Some people will find “Sunset” just too distant to fully embrace, but I think it merits the work one has to put into it. Approach as you would an impressionist painting. “You can have all the facts of Europe, yet it is still a mystery,” Nemes says. Family, loss, Empire and, considering Nemes’s background — Jewish life — are the key forms in this picture; it’s just shot in such a peculiar way they can be hard to distinguish. Look for them before the light fades out.